Automatic Door and Hardware offers the largest selection of wholesale ANSI and ADA compliant automatic door safety decals and stickers. It is very common for automatic door safety stickers and decals to fade and crack over time. This is often due to damage from the sun or weather. Damaged and cracked automatic door safety decals not only make your automatic door look older and worn out, but they also pose danger to pedestrians passing through the entrance. It is important to always have easily identifiable and legible automatic door safety decals and stickers. At Automatic Door and Hardware you do not have to worry. All of our automatic door safety decals are of the highest quality and commercial grade. We feature all of the common automatic door safety decals found on automatic sliding and automatic swinging doors today. 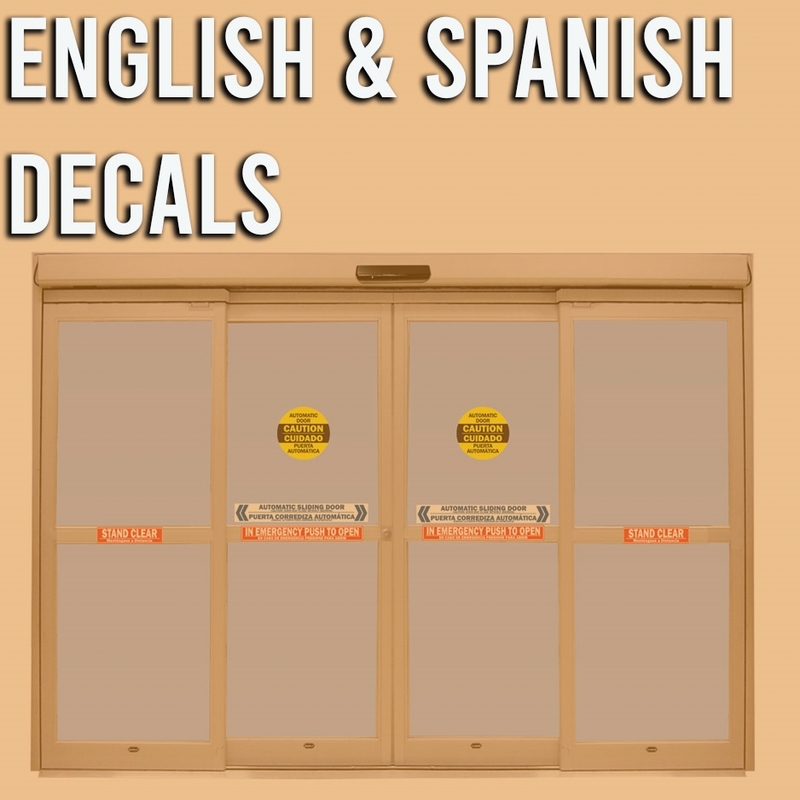 We stock English Automatic Door Decals as well as Bi-Lingual English and Spanish Automatic Door Decals. We have thousands of automatic door stickers in stock and offer fast shipping right to your location. There are many different automatic door decals and automatic door stickers to choose from, so please select the automatic door sticker which suits you best. Automatic door decals alert pedestrians that the entrance is automated. You can rely on Automatic Door and Hardware to provide you with the best selection in automatic door decals and stickers. We offer fast shipping right to your job or preferred location.